At just gone 7am Princess Rosetta requested Diana Prince to the hotel's aerobic gymnasium. On her arrival, the princess was judo sparring with her lady-in-waiting. Rosetta was a short, tanned, brunette with high cheek bones and beaming blue eyes; she really was a beautiful princess. However, it was Serena Rocca who caught Diana's eye with her tall imposing physique, displaying bristling biceps in her sleeveless vest. She had short dirty blonde hair that made her all the more masculine; as did her the low Austrian tone. The lady-in-waiting glanced across to Diana standing in the doorway. Princess Rosetta swept her Lady's foot away from beneath her, sending Serena, firmly, on the canvass. “Err... I shall give it a try,” said Diana, gamely. She slipped off her dark heels and jacket. Serena handed over a judo blazer and belt. “Make sure you lose,” she whispered in Diana's ear. The two princesses squared up to one another. Rosetta seemed thrilled at the prospect of sparring with Diana. “I want you to know, I hold no malice towards you for trying to seduce my fiancé, yesterday,” she stated. With that Rosetta grabbed Diana's collar and hulled her around her tiny waist. Diana went with the flow to the floor. The two women locked horns, once again. At the first opportunity Diana threw Rosetta over her right shoulder, landing her gently on the mat. “With pleasure,” Diana smiled, unrepentantly. The royal convoy to the Vatican consisted of a police motorbike up ahead, clearing the traffic; the royal limousine was flanked front and back by police Lamborghini's. Diana kept her black Corvette ZX1 well back in her unofficial, official capacity. The Corvette was equipped with some sophisticated surveillance, such as the six exterior spy cameras that could view any angle; although most impressive was the satellite beaming panoramic views of the surrounding area from space. 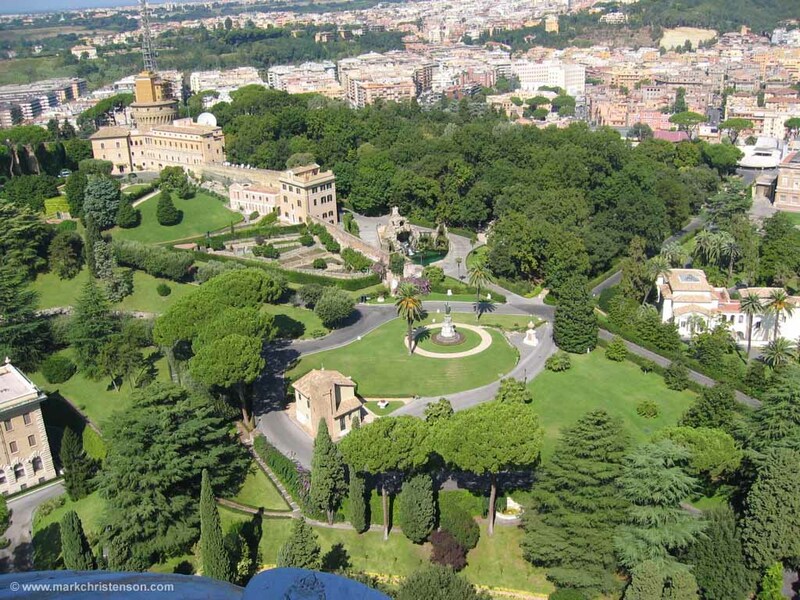 On the monitor, inside her car, Diana could see over the great wall that divided Vatican City from the rest of Rome. 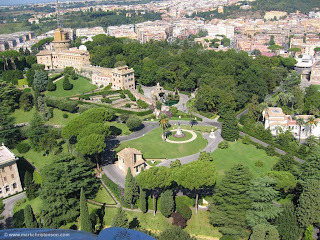 Beyond that, the distinctive yellow and blue uniforms of the Swiss Guards, whom protect Vatican City, had dispersed into the trees. “They’re hunting an intruder,” deduced Diana. 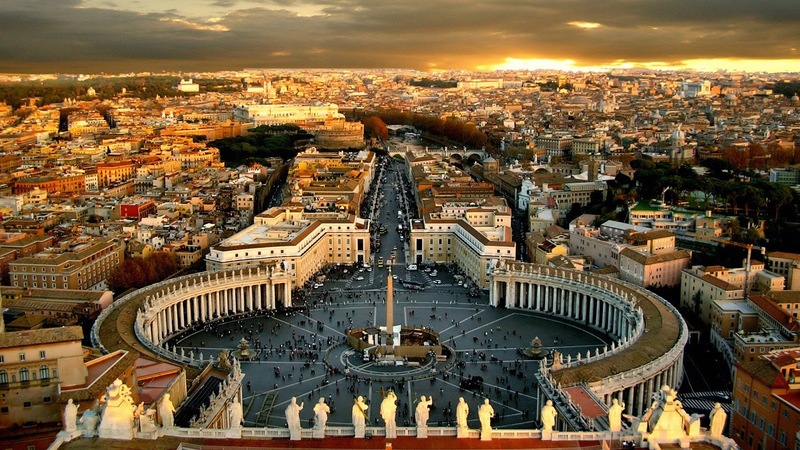 The security alert at the checkpoint entry to the Vatican rushed the royal convoy through. However, two vehicles were missing; each with more pressing priorities. The glistening golden figure of Wonder Woman sparkled in sunshine, as she stood on top of the Vatican's southern wall surveying the scene below. The Amazon princess chose to enter such sacred grounds with caution; partly because Christians have considered Wonder Woman as a mixed blessing since her entry into World War II; she was also not keen to advertise Wonder Woman's whereabouts. She dropped down on to a thick tree branch and peered through the woods where she heard whispering. Her sensitive ears detected a low voice speaking through a cell phone. “I'm sixty seconds away. Commence now,” the voice instructed. Machine gun fire began immediately after from within the woods. Up on her high vantage point, Wonder Woman could see the Swiss Guards retaliating with pistol fire as they ran for the cover of their vehicles. At the same time, a fast moving buggy scrambled off the road. It halted with a shudder at the edge of woods, and a familiar figure - this time in dressed head-to-toe in white Lycra with red stripes down her sides and a matching motorcycle crash helmet – stepped out. 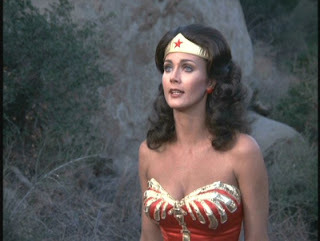 However, a presence of another kind alerted Wonder Woman as she dropped effortlessly to the ground. She stood under the cover of the orchards watching the gunman clearly visible in the stripy suns rays glaring down between the cedar tree branches. She had cause to believe the sound of the undergrowth being crushed underfoot, to her left, was the Lost Siren: so who, then, was to her right? Wonder Woman pulled away a hanging branch to reveal a small clearing with a tomb built against the city wall. There, a tall man, wearing the traditional robes of a cardinal, leaned against one of the tomb's pillars, as if in deep meditation. “Mendo is the name, Cardinal Mendo,” he answered. They shook hands. The cardinal's hand was lukewarm with bristly deformed bones, indicative of somebody suffering from a rheumatic illness. “Great to meet you, Cardinal Mendo, now I really do think I should get you out of harm's way,” urged Wonder Woman. “You mean from the gunman in the woods?” he asked, rhetorically. If he hadn't been a man of the cloth, Diana could have struck him there and then. The pain of losing Karen Harris (see Wonder Woman in Paris) was still raw. How the cardinal knew about the agent's death was puzzling. Something wasn't right, but Diana played it cool. “How did you know about Karen Harris?” she asked, thoughtfully. Just at that moment, the sound of a woman shouting, "Don't shoot," could be heard from outisde the woods. “I have to go,” Wonder Woman said. “I thought you might, but don't worry I'm not going anyway,” replied Mendo.